Jussie Smollett became infamous when he allegedly lied about two “MAGA” supporters jumping him on the streets of Chicago. But then new evidence was uncovered that Smollett staged the whole attack. 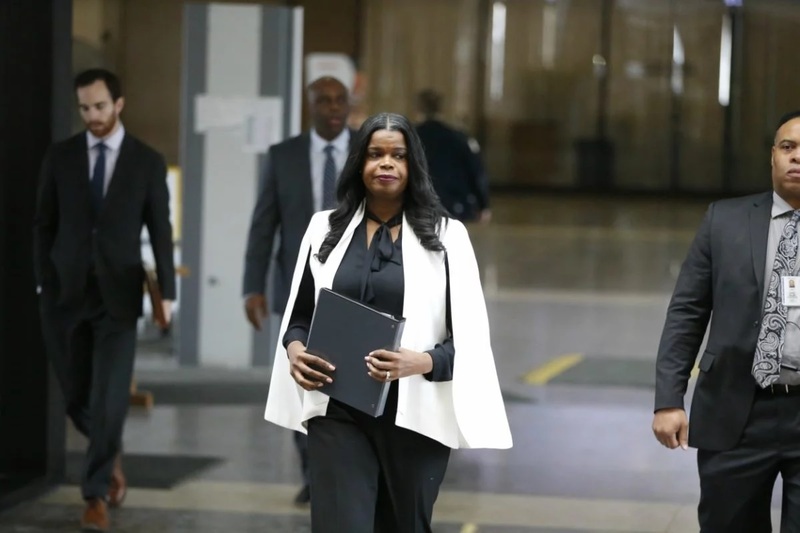 He was charged with 16 Felonies as a result and instead of Cook County State’s Attorney Kim Foxx prosecuting to the fullest extent of the law, she decided to drop all charges. And Foxx was just blasted by one of her Assistant Prosecutors for doing just that. Jussie Smollett caused irreparable harm on a national level when he tried to demonize President Trump’s supporters as violent – and with two side orders of racist and homophobic – considering he’s both black and homosexual. People in Hollywood ate it up and accepted Smollett’s claim as being an undeniable fact – blanketing all Trump supporters as being all the same. But it didn’t take the Chicago Police Department very long to expose all the facts like, for instance, Smollett allegedly paid two Nigerian brothers who worked on his show, Empire, by check to stage the attack. The next thing you know, Smollett landed behind bars. To be fair, some Hollywood celebrities apologized for jumping to conclusions. But the damage had already been done in the court of public opinion. How they truly feel about Trump supporters was already ingrained like a preconceived notion. And Smollett got a slap on the wrist for some unknown reason that Cook County State’s Attorney Kim Foxx felt was necessary. It’s embarrassing. It does make you wonder what occurred behind closed doors. One initial report suggested that former First Lady Michelle Obama’s chief of staff, Tina Tchen, personally put in a call to Foxx in an attempt to persuade her to drop the charges. Although there is no proof of that; the timing and the dismissal of the charges seem to suggest otherwise. It is absurd to even accuse the Chicago Police Department of maliciously trying to scapegoat Smollett for something he never did. Foxx and her office are supposed to in good faith work in cohorts with each other. It’s a team effort. But they were demonized for doing their jobs after they uncovered evidence that Smollett created a nationwide hoax? But imagine if it was a white conservative actor like Tim Allen or Mario Lopez who did the exact same thing during the Obama administration and claimed someone jumped them from Black Lives Matter or ANTIFA. How do you think that would’ve worked out for them? Would Foxx have dropped the charges then too? It’s hard not to point out that he was coddled by Foxx during this process and it’s a gross miscarriage of justice.